The purity of fly fishing is based in the pursuit of trout. The Deschutes River is no exception to that rule, offering fish and water to fit any modern fly fishing methodology. The purest form, dry fly fishing, is prevalent almost everyday of the year on the Deschutes. The local rainbow trout on the Deschutes are known as ‘Redsides’ and are tough fish. Where they hold and how they fish are both products of the large western river that they call home. Deschutes Redsides average 13″-16″, with shots at bigger fish throughout a good day. We have witnessed many 15″ Redsides hit the backing. As it is with larger cities, larger rivers offer more food. The Deschutes has some incredible hatches for trout fly fishing, with well over 200 species of Caddis alone. 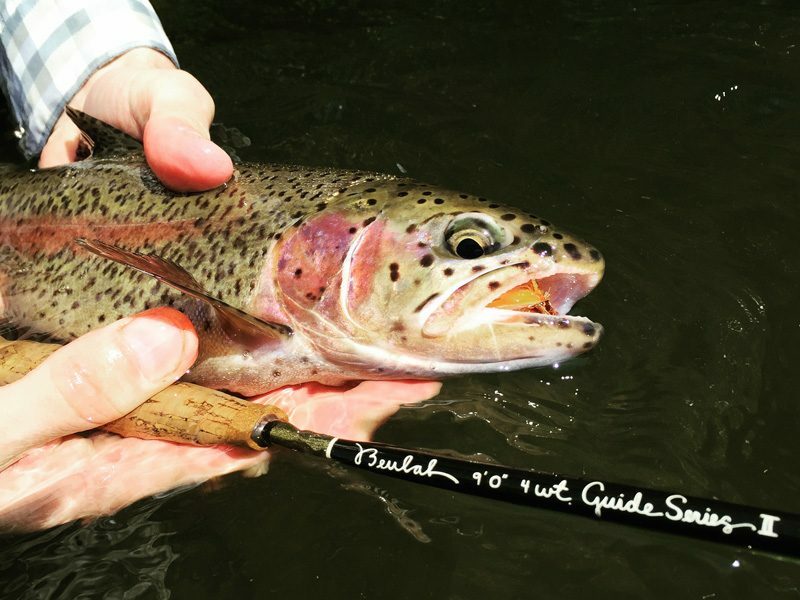 Local area knowledge, as well as some insect knowledge, can go a long way in fly fishing. 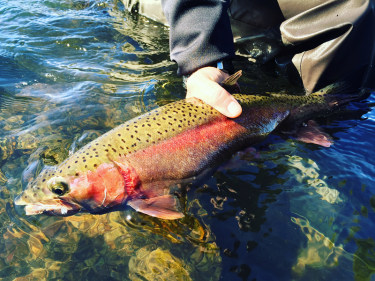 While the Salmon fly hatch is always the gem of the Deschutes hatches, dates for those fill quickly. The lesser known hatches and smaller bugs will provide more consistency and a better window for anglers. 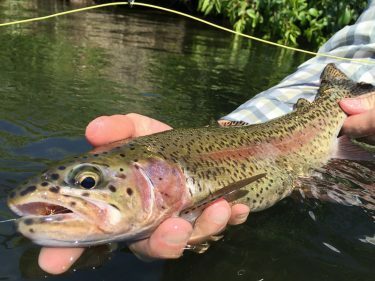 A day spent taking in the beautiful and diverse Deschutes canyon while fly fishing for some of its wild trout is a great experience for anglers of any level. With one of the All Waters Angling guides you just might learn something as well.